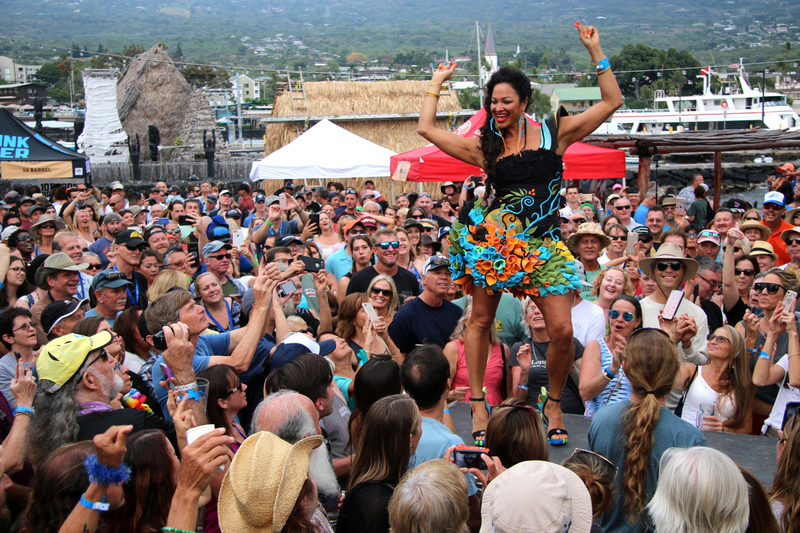 The 22nd annual Kona Brewers Festival took place Saturday, March 10, on the grounds of the King Kamehameha (locals call it the King Kam) Hotel in Kailua-Kona on the Big Island of Hawaii. 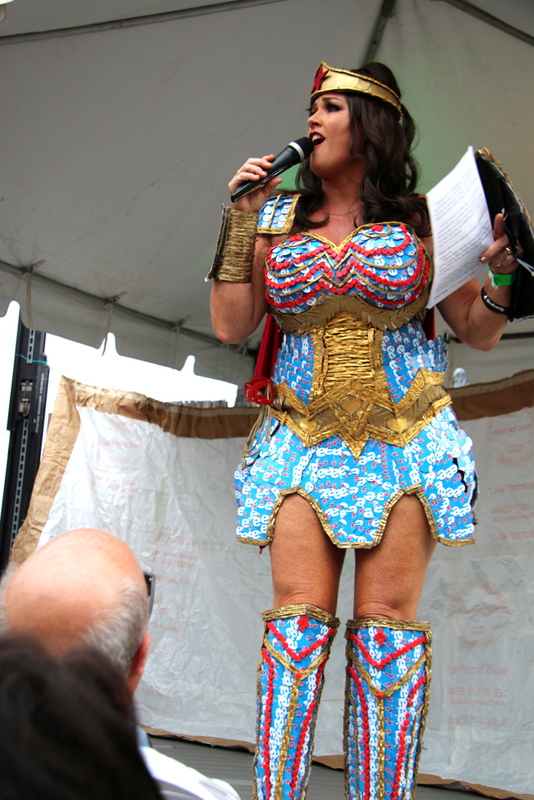 The event attracts beer lovers from all over the islands and, more notably, from the U.S. mainland itself. Tickets for this event, at $85 each, sell out within hours of it being posted on line. Many attendees plan their mid-winter vacations around the date — always the second Saturday in March. Weather is usually good and this year was almost perfect with a slight overcast keeping things comfortable. 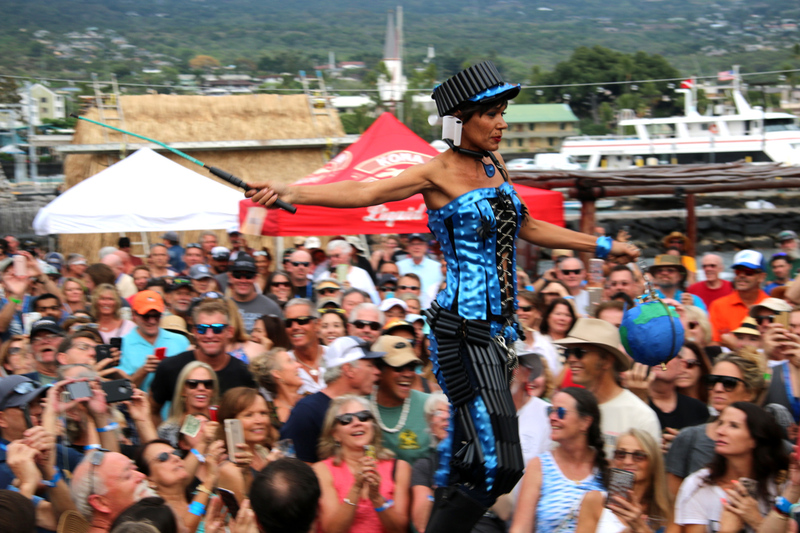 The event had its humble beginning as a celebration of the first anniversary for the Kona Brewery located a short walk from the festival grounds. 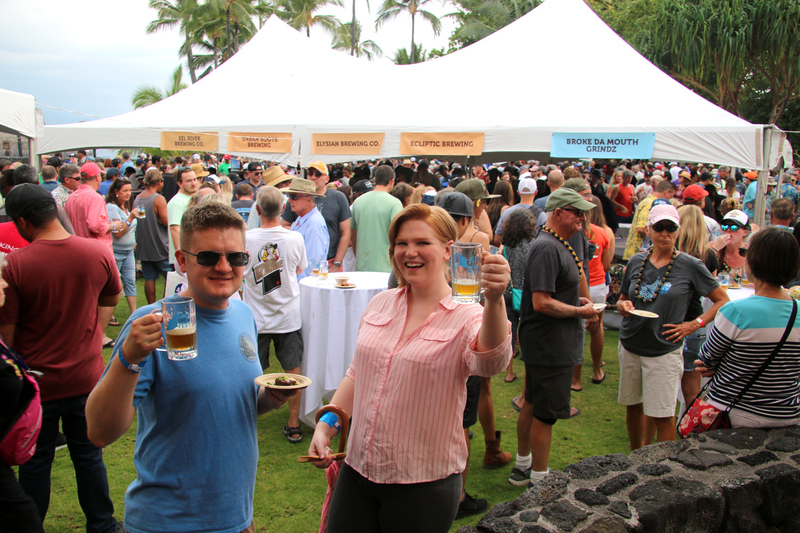 A few other breweries were invited and, amazingly, the opportunity to pour at a beer festival in Kona caught on and there has been a waiting list for breweries ever since. 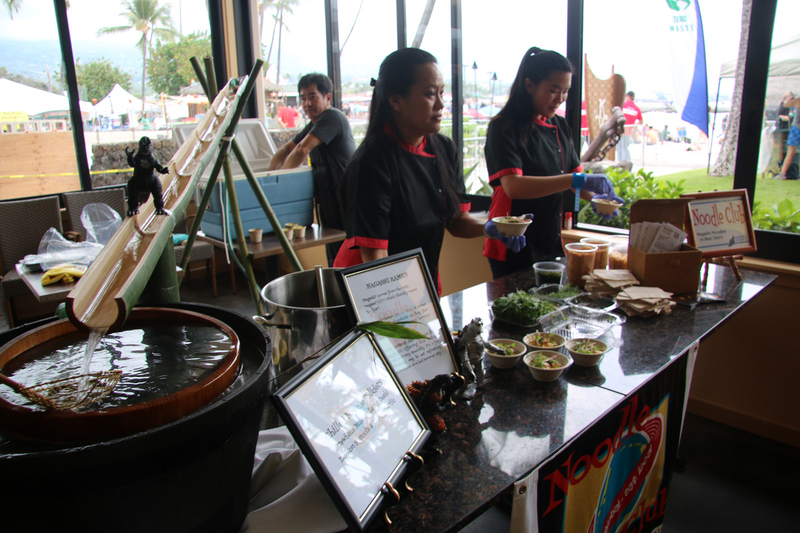 The event has always been done as a fund-raiser for local charities including Recycle Hawaii incorporating the islander ethos Malama Pono (respecting the land). 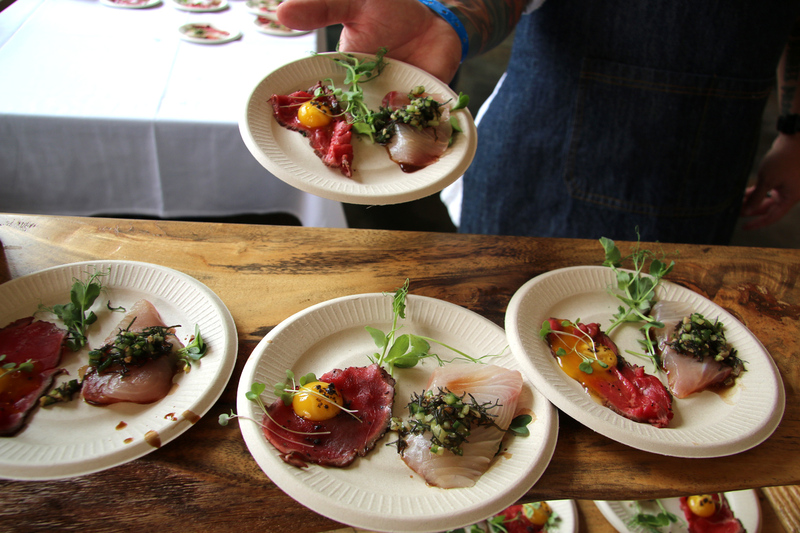 The festival features 36 breweries (each pouring two beers) and 30 restaurants serving sweet and savory tastes of island-style food from fresh fish and barbecued meats to decadent desserts. 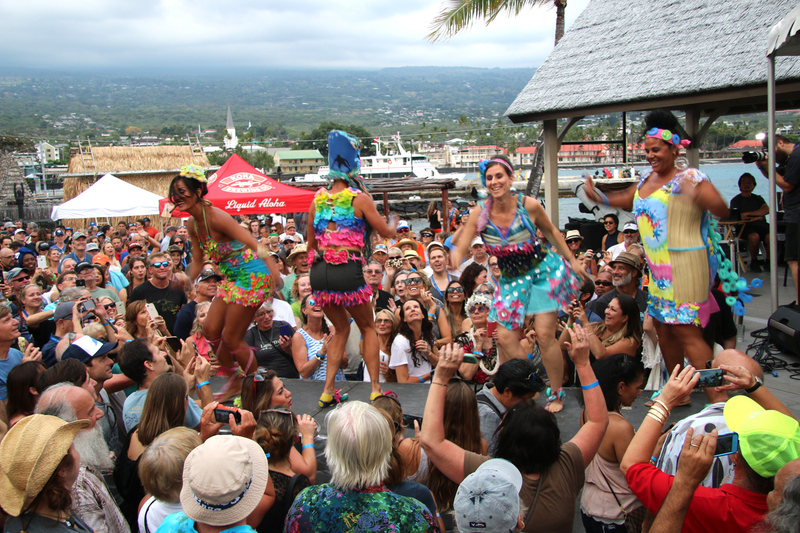 Several local bands performed at the stage adjacent to Kaikalua Bay with the village of Kona in the distance. 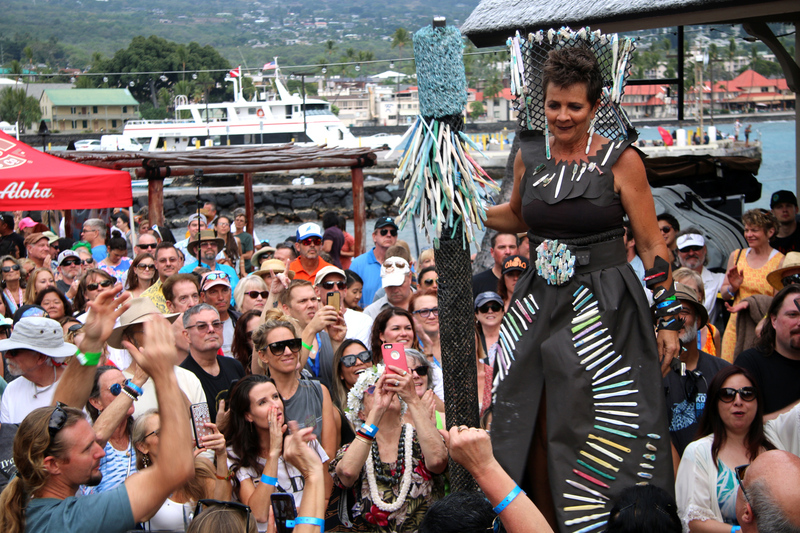 A huge attraction at the festival is the annual Trash Fashion Show designed to raise environmental awareness by exhibiting costumes made entirely from scavenged and recycled items. The outlandish costumes often made from discarded six-pack holders, shiny CD discs, rubber and plastic items, and even tooth brushes, are worn by dancers gyrating to the pounding beat of popular songs and a narrative of wasteful habits and cautionary statistics showcasing our polluting population. A new feature for the festival is Honu’s Taproom and Lounge, a VIP premium that starts one hour before the festival in the hotel restaurant adjacent to the fest. For what turns out to be a reasonable upcharge of $100, VIP ticket holders not only get in a hour early but are treated to upscale food items and at least a dozen beers that aren’t available at the festival plus indoor and outdoor tables for a very delightful start to the festivities. The Festival also includes a Home Brewers Competition and a popular 5K Run/Walk for the Hops non-race. The fund-raising activities of this event have netted over one million dollars for local charities. 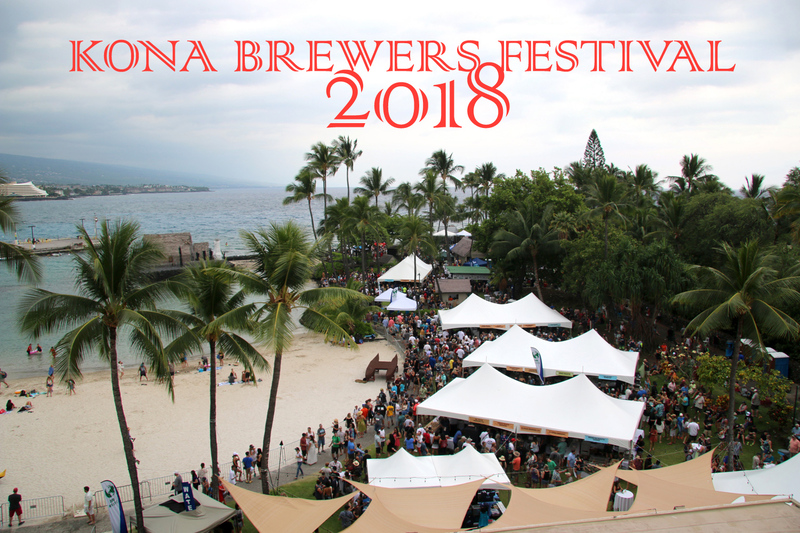 Next year’s Kona Brewers Festival takes place March 9, 2019. Tickets go on sale in December at konabrewersfestival.com. 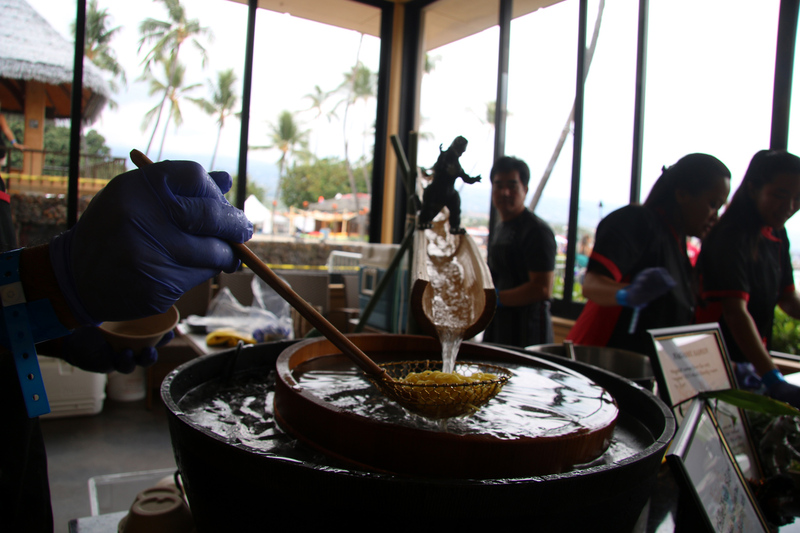 You can also follow the Kona Brewers Festival on Facebook, Twitter and Instagram.